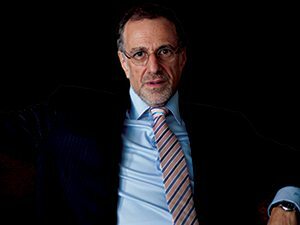 MICK Davis, the former CEO of Xstrata and more recently appointed head of Britain’s Conservative Party, could be heading to Rio Tinto, according to Sky News which said Davis was the preferred candidate to replace the miner’s current chairman, Jan du Plessis. Were Davis to take the chairmanship of Rio Tinto it would potentially put him on a renewed collision course with Ivan Glasenberg, CEO of Glencore. Glencore made a preliminary takeover approach for Rio Tinto in 2014. Davis and Glasenberg fought during the takeover of Xstrata by Glencore. After leaving the Glencore-Xstrata union, Davis set up X2 Resources, a private equity fund with some £5bn in firepower from investors across the globe. However, Davis did not invest any of the funds after being linked with numerous takeover targets throughout the metals and minerals price correction. In recent months, it has been speculated Davis was keen to restart X2 Resources with new investment parameters and new backers, said Sky News. In July, Bloomberg News reported Davis had invested in Commodity Asset Management. Davis started corporate life in South Africa as CFO of Eskom, the power utility. He then joined Brian Gilbertson as the two set off for London where they listed Billiton. Davis left Billiton ahead of its merger with BHP in favour of helping to establish Xstrata.